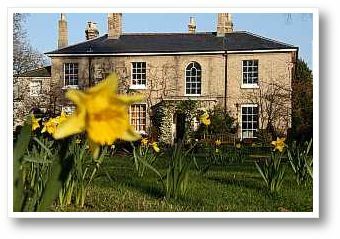 Set in the heart of the Broads with the sandy North East coastline within 6 miles, the Old Rectory Catfield is a perfect spot to recharge the batteries and from which to explore all the delights of this special and relatively undiscovered area. 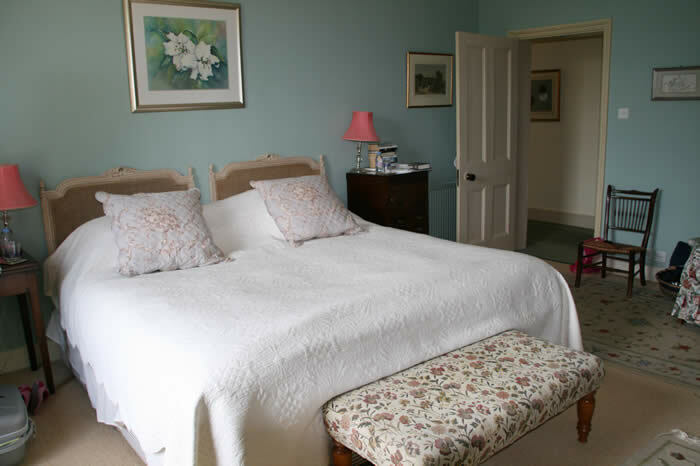 The Old Rectory, Catfield is a classic Norfolk rectory situated next to the delightful church of All Saints Catfield. William Cowper, the celebrated poet and hymn writer frequently visited his Uncle, the incumbent of All Saints in the 18th century and wrote, "In all places on the earth, I love Catfield". Set in 18 acres of gardens, pasture and Glebe land the Old Rectory is a haven of tranquillity where sheep graze and ducks, hens and guinea fowl wander freely. There is an abundance of wild life and the garden is shared with deer, rabbits and squirrels - this really is a home for all! Above all this is a family home where visitors are welcomed as cherished guests and every effort is made to make your stay peaceful and enjoyable. We do not operate as a normal guest house/bed and breakfast instead we offer more of a house party stay where you will be welcomed as friends. 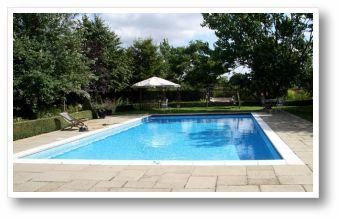 We offer the use of our large, heated swimming pool in summer and the all weather tennis court all year round. There are lovely walks from the house and this is excellent cycling country. Guests' bikes can be safely stored or local cycles hired. Catfield is situated in the heart of the Norfolk Broads and close to the fabulous sandy coast line of North East Norfolk. The magnificent, historic National Trust houses; Blickling Hall and Felbrigg Hall are within easy reach and we are within 4 miles of the celebrated East Ruston Gardens - a must for anybody with any interest at all in gardens. Boats and canoes can be hired locally or guided nature boat trips taken. Price includes everything you would expect to make your stay comfortable and memorable and if we fall short in anyway please just tell us and every effort will be made to meet your requirements. The only thing we cannot guarantee is the weather but if inclement there is a multitude of books to suit every taste, sky television, internet access and roaring log fires including in your bedroom if required in winter. Will accept biddable well behaved and house trained dogs, pets and children!. 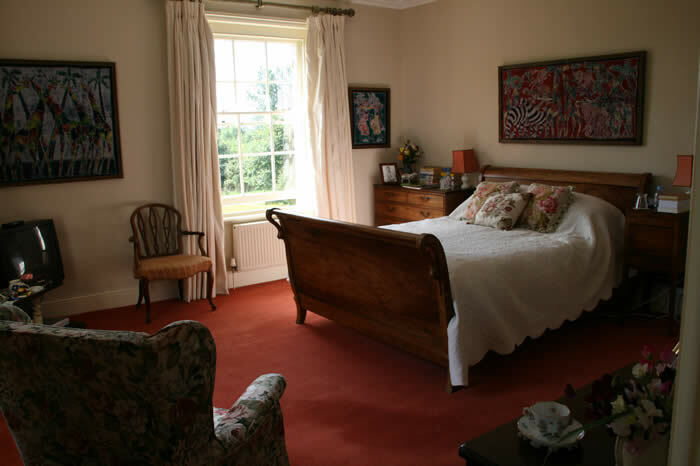 Two double/twin rooms but flexible sleeping arrangements can usually be achieved.